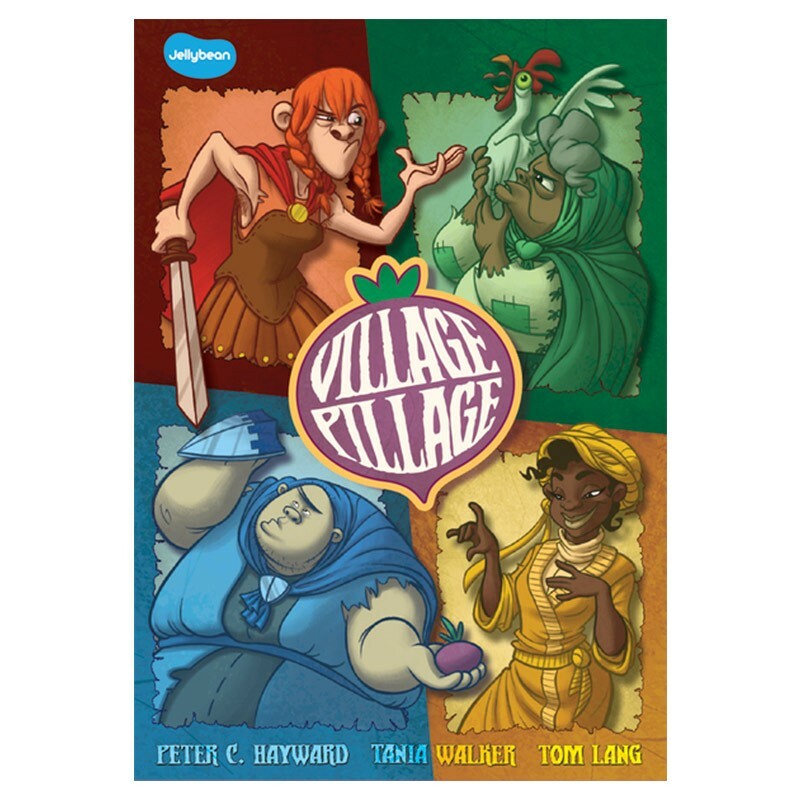 Village Pillage is a fast-paced game of risk and betrayal. Each turn, play a card against each neighbor - it's rock-paper-scissors on two sides at once! Farmers grow turnips, Armies steal turnips, Walls block Armies, and merchants buy relics and add additional cards to your hand. The first player to collect 3 relics wins!